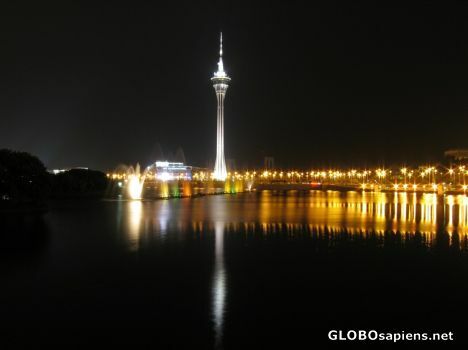 You are here: Member pages » angmokio » pictures » Macau tower by night. That's an excellent night shot - I love it. The reflection is beautiful.